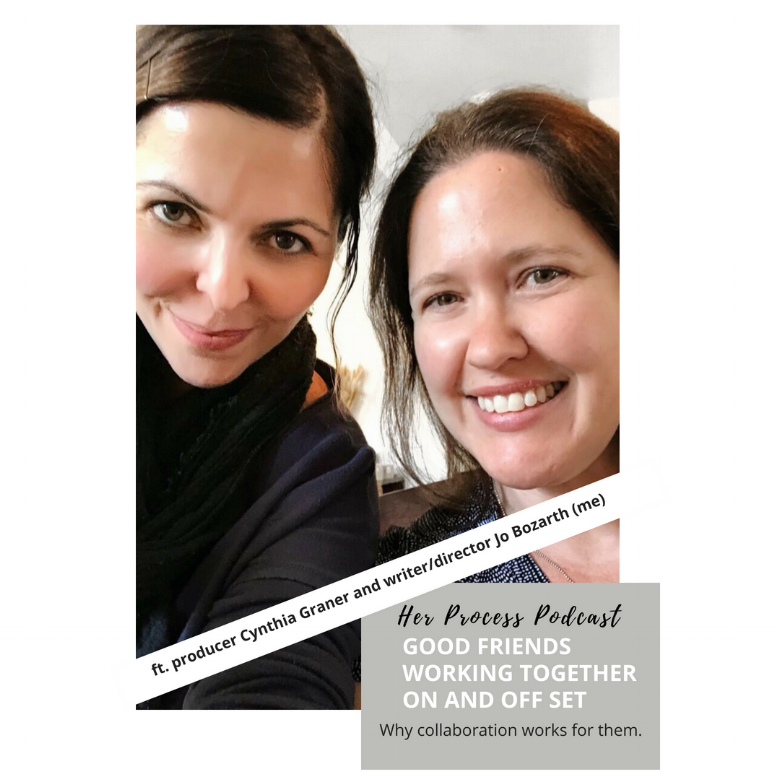 In this, the third installment of my special Her Process series on collaboration, I’m talking with someone with whom I’ve recently collaborated, my dear friend and producer extraordinaire, Cynthia Graner. Cynthia is an AFI alum who has produced commercials, branded content, feature films, short films, episodics…she’s basically done it all. Today, in addition to hearing how the work flow and other aspects of the working relationship between a producer and writer/director work, Cynthia talks about the various roles of different types of producers. Oh! And my role was that of the writer/director. A little background…Cynthia and I have worked together on projects before, but the particular project that we’re focusing on today was new territory for us because prior to this shoot, my role had been that of the actor. This time Cynthia produced a short film that I wrote and directed. So today we’re talking about that process, from writing the script to pre production to shooting the film…all of it. This episode was a fun one for me. I swear that during every step this project, if my brain was the puzzle, her brain was the missing piece. If you’re thinking about mounting a production, you’ll want to give this chat a close listen.